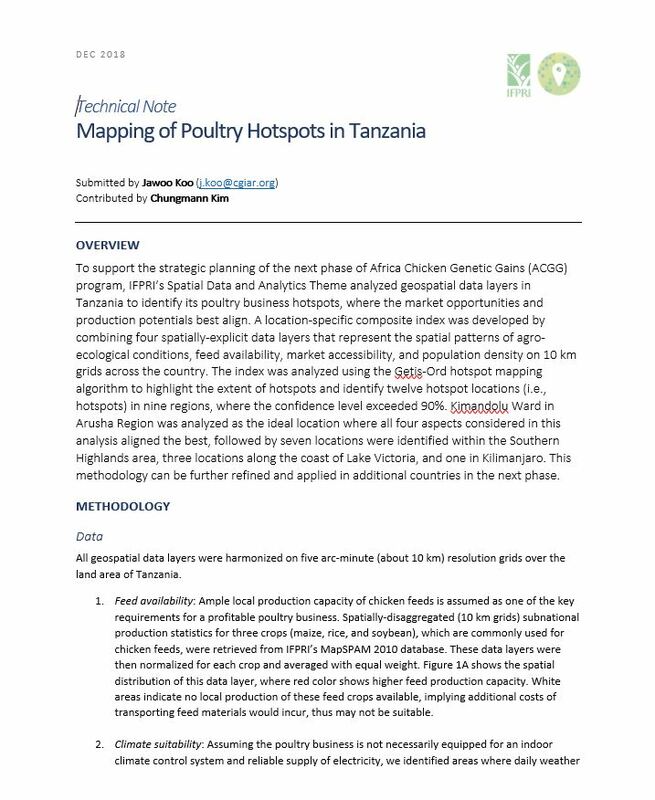 To support the strategic planning of the next phase of Africa Chicken Genetic Gains (ACGG) program, A team from the Spatial Data and Analytics Theme of the International Food Policy Research Institute (IFPRI) analyzed geospatial data layers in Tanzania to identify its poultry business hotspots. These ‘hotspots’ are where the market opportunities and production potentials best align. A location-specific composite index was developed by combining four spatially-explicit data layers that represent the spatial patterns of agro-ecological conditions, feed availability, market accessibility, and population density on 10 km grids across the country. 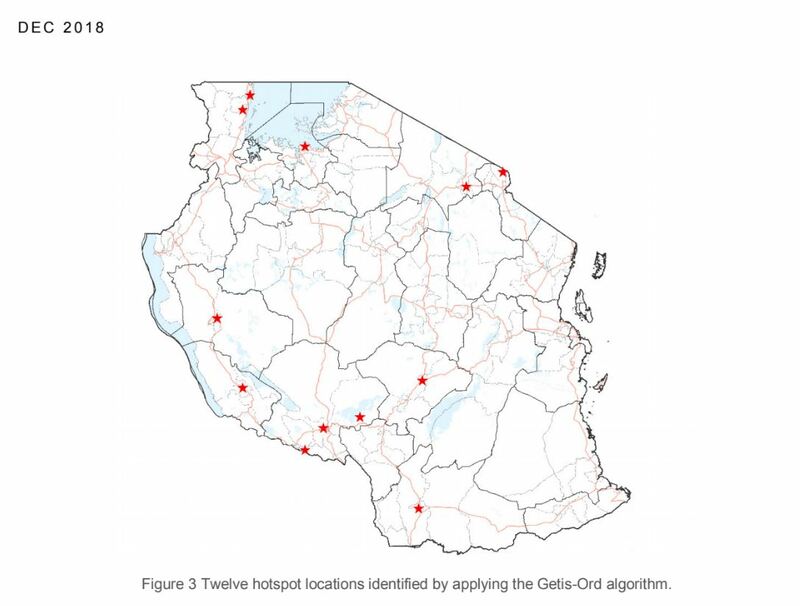 The index was analyzed using the Getis-Ord hotspot mapping algorithm to highlight the extent of hotspots and identify twelve hotspot locations (i.e., hotspots) in nine regions, where the confidence level exceeded 90%. Kimandolu Ward in Arusha Region was analyzed as the ideal location where all four aspects considered in this analysis aligned the best, followed by seven locations identified within the Southern Highlands area, three locations along the coast of Lake Victoria, and one in Kilimanjaro. 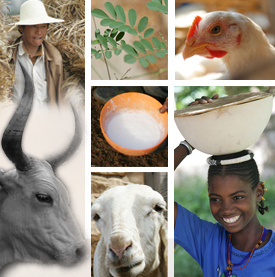 This methodology can be further refined and applied in additional countries in the next phase. Tags: hotspot. Bookmark the permalink.